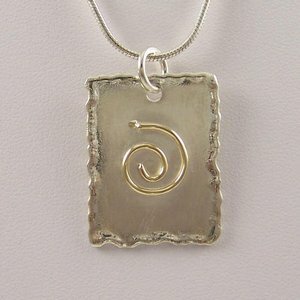 The pendant measures 7/8" x 1 1/4". 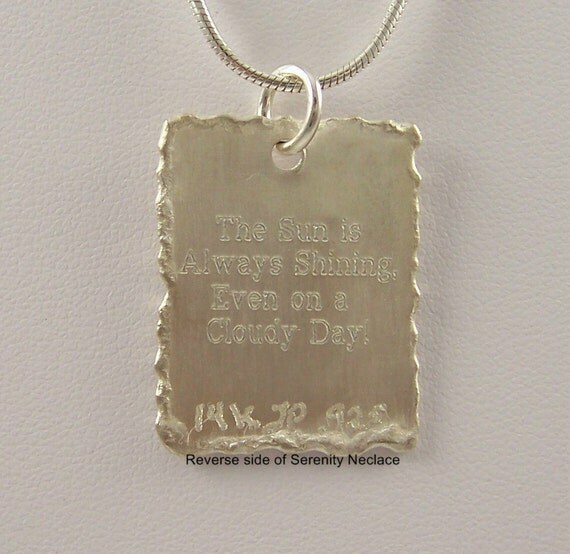 The chain is made of sterling silver and comes in your choice of 16' 18' or 20' length. You can also add a personalized message on the back for $10. If not then "The sun is always shining, Even on a cloudy day." will be engraved.